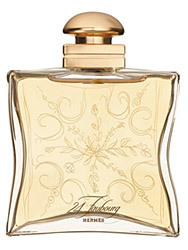 Iris Ukiyoé is Jean-Claude Ellena’s tribute to the iris flower, not the orris root which is often encountered in perfume. Iris Ukiyoé is less of a literal interpretation of an iris flower than it is a conceptual piece of nose art. I will call it nose art if I want to. 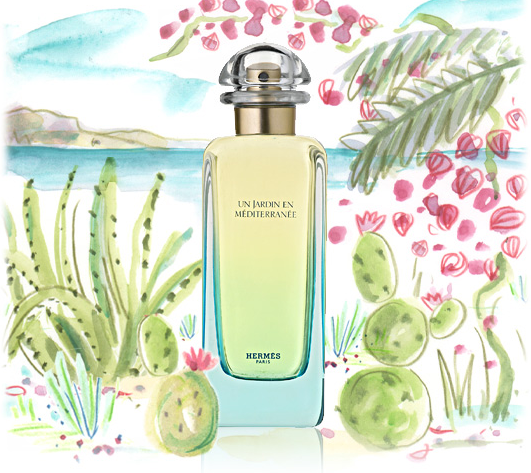 In Bottle: Fresh and sheer, clean with a sweet citrus scent floating about it. So far I’m not getting the personality of iris here, but I do get a lot of green and clean power. Applied: After the initial sweet citrus, Iris Ukiyoé remains sweet as it introduces some dashing roses into the mix. The scent remains green and sharp except with a flowery background to support it now, as it slowly adds in a bitter note. The rest of the scent lingers in the green, bitter floral territory until the end where a woodsiness mingles into the scent to form a rather pleasant picture of flowers blooming near a tree trunk. Is this iris flower? No, not in the least. It’s more of an homage to orris root, but even then that part of it doesn’t appear for the majority of the fragrance. In fact, Iris Ukiyoé pays more attention to rose. What Iris Ukiyoé is, however, is beautifully composed. It smells fantastic, light, dewy, easy to wear and fabulous to smell. 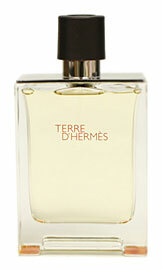 Extra: Iris Ukiyoé is a part of Hermessence a collection of exclusive scents by luxury fashion house, Hermès. Hermessence concept is reminiscent of exclusive collections from other luxury houses such as Guerlain’s L’Art de Matiere and Chanel’s Les Exclusifs. Design: Hermès usually does very well with its design elements. I’ll admit I haven’t held a bottle of this stuff yet but I hope to at some point in my life as the juice is just so pretty. The bottle itself is a pretty bland shape of rounded rectangle. It has some nice subtle design elements on the glass. Where I have to stop and shake my head is the cap that’s leather wrapped and stitched. It takes away from the beauty of the rest of the bottle and I rather wished they’d used metal or something instead. Then there’s the leather sheath you can slide the bottle into. Not necessary on a strictly design standpoint and rather ugly if you ask me. Notes: Mandarin, rose, orange blossom. Like most exclusive line fragrances from a luxury house, you can expect to pay more for Iris Ukiyoé. A full bottle will retail for $235. 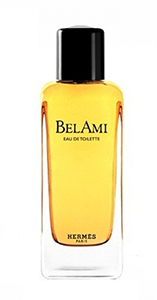 You can get a set of four 15ml fragrances for a more affordable $145. 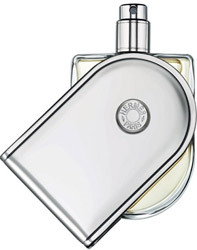 Reviewed in This Post: Iris Ukiyoé, 2010, Eau de Toilette.